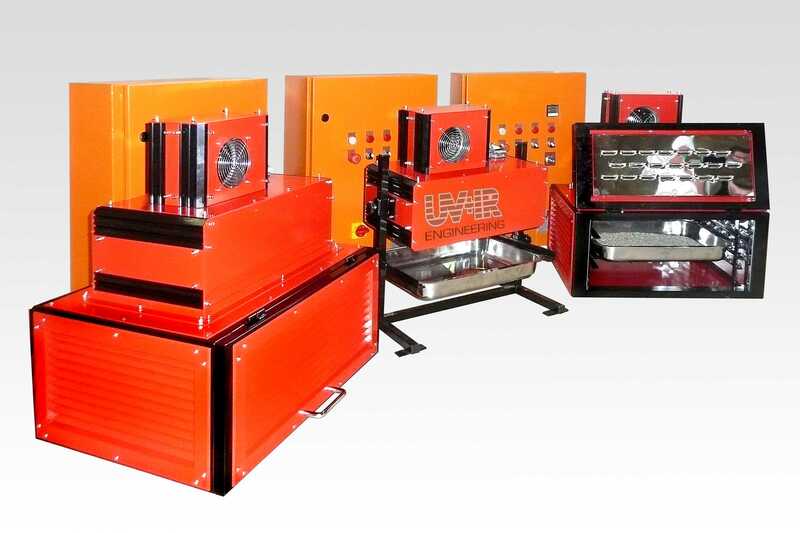 UV+IR Engineering supplies industrial modular equipment for IR process heating. 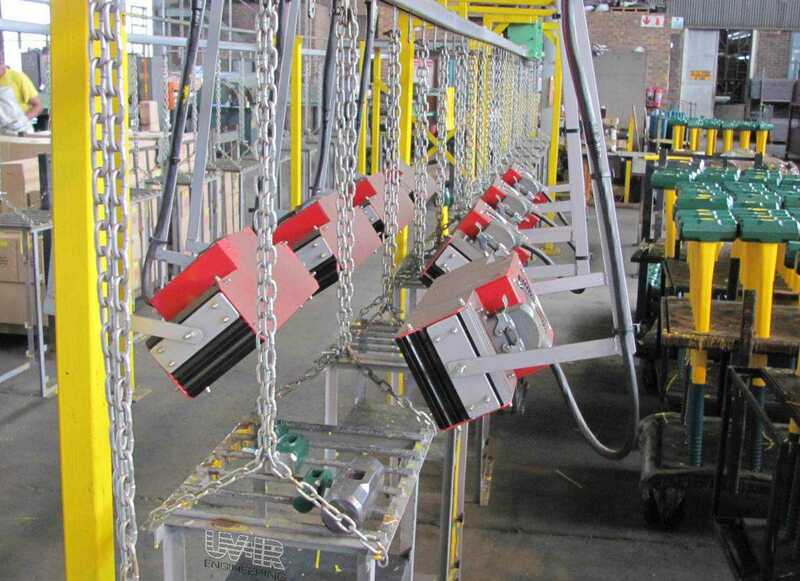 We can adapt individual modules to suit your particular requirements. IR heating provides instant clean heat – more than 90% of emission is reached within one second with no dirty by-products or pollutants. It is safe and economical and over 90% of consumed energy is transmitted as IR heat which is easily focused on the target. This focus combined with accurate temperature control ensures efficiency. Rotating bucket dryers used to dry Iron Ore. 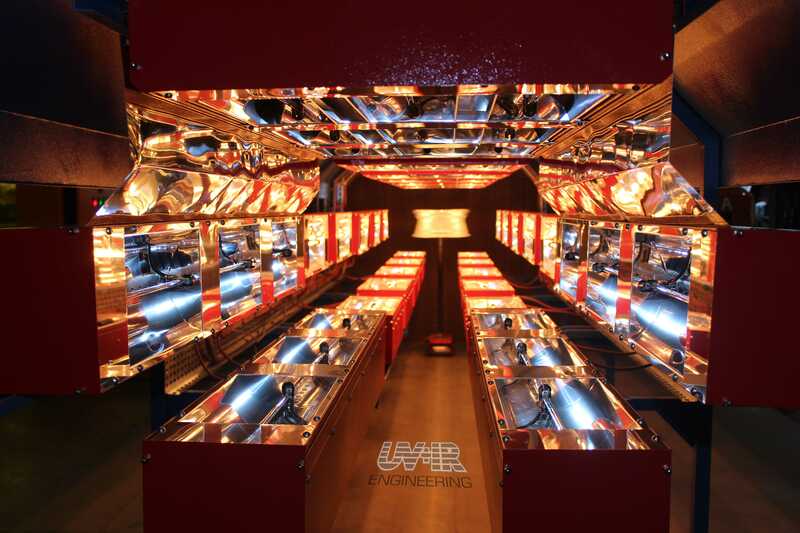 Ovens suitable to dry minerals in trays complete with automatic temperature control. 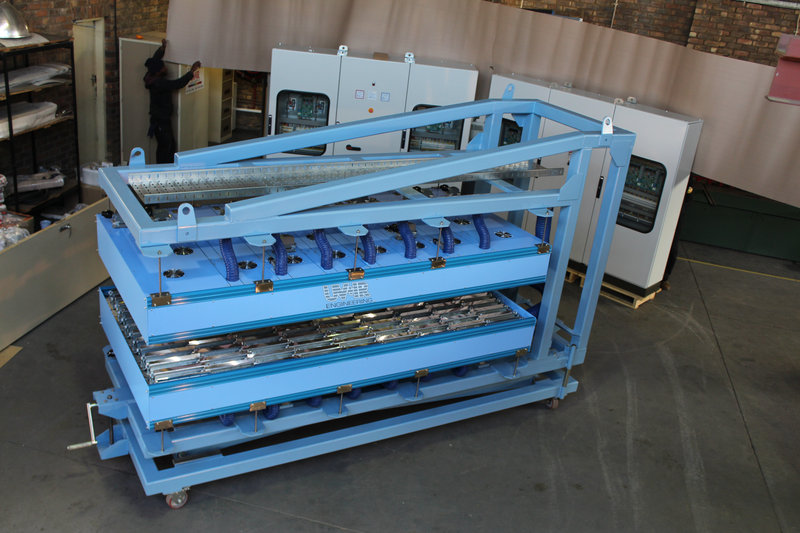 Ink drying unit suitable for drying of inks on news print. 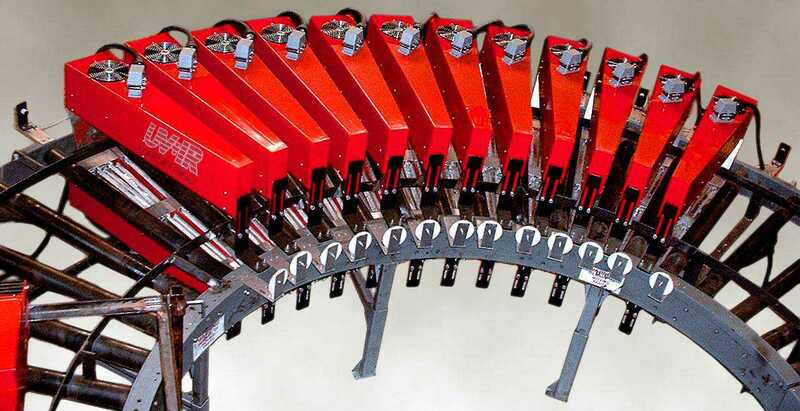 Tailormade Infrared modules installed on a conveyor. 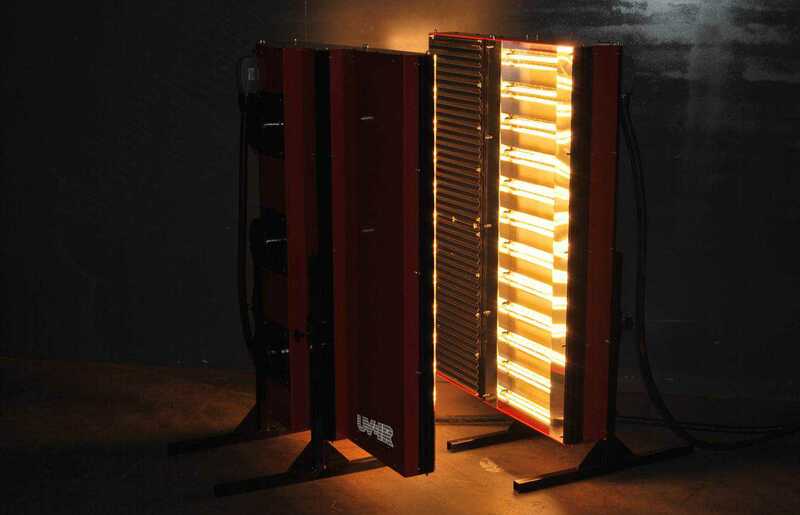 Infrared heaters used to dry resin during the manufacturing process of hammers. 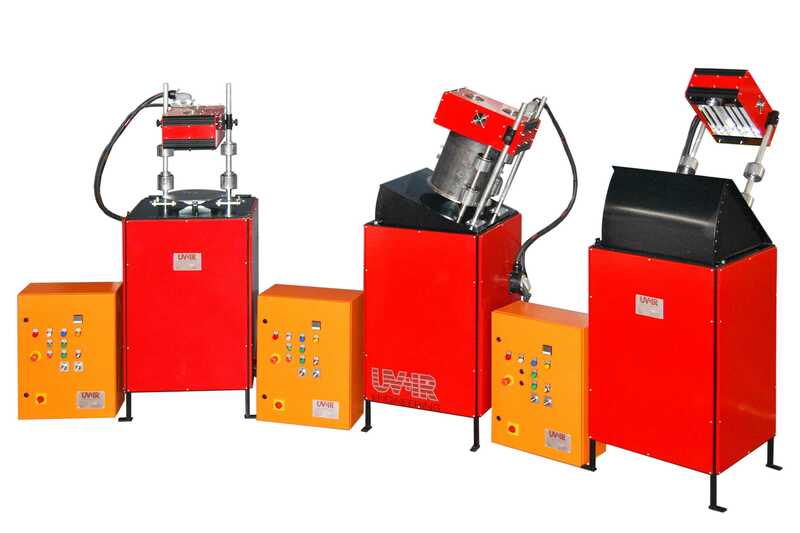 Powdercoating oven booster. 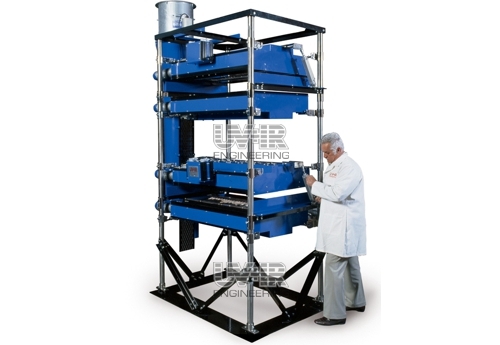 This unit is used to preheat metal components prior to entering a powder coating oven in order to increase production. Heating of aeroplane cabin side panels for Airbus.